Unveil a complexion that looks refreshed and rehydrated with the LA ROCHE-POSAY HYDRAPHASE INTENSE SERUM 24HR Rehydrating Smoothing Concentrate, a replenishing, concentrated facial gel for dehydrated and sensitive skin. The moisturising facial serum is enriched with a highly concentrated blend of LA ROCHE-POSAY's Thermal Spring Water, known for its soothing and anti-irritating properties, plus Hyaluronic Acid fragments to immediately infuse the skin with deep hydration. Fast-absorbing and non-greasy, the melt-in gel texture will reduce skin tightness, smooth dehydration lines and provide intense, long-lasting twenty-four hour hydration to ensure that skin is healthy and glowing. Skin Type: Sensitive Skin, Dehydrated Skin. Treatment Type: Hyaluronic Acid Facial Serum. 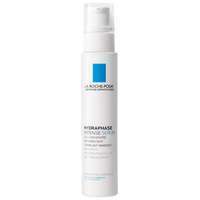 LA ROCHE-POSAY HYDRAPHASE INTENSE SERUM 24HR Rehydrating Smoothing Concentrate 30ml was found on 6 websites and was price compared using EAN: 3337872413353. 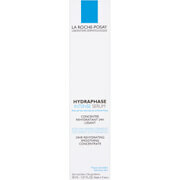 The cheapest LA ROCHE-POSAY HYDRAPHASE INTENSE SERUM 24HR Rehydrating Smoothing Concentrate 30ml is shown as the main item, prices range from £13.33 to £18.15, excluding delivery. Price comparison based on price and delivery charges, with any valid discount codes being applied, is shown in the table above. Prices and information correct at the time of publication.